We all will age, yes, because aging is inevitable. No one is immune from getting older. For many of us, we tend to look at aging as a negative. Many are worried of the negative impact ageing can have on our quality of life. Many see this as an obstacle too big to conquer and they give up. Some spend the rest of their days watching television, struggling up the stairs, and taking three naps a day. They’re “too tired” to do anything else. What other option do they have? However, getting old may not be as bad as people think it will be, especially now that we have AgeWell. 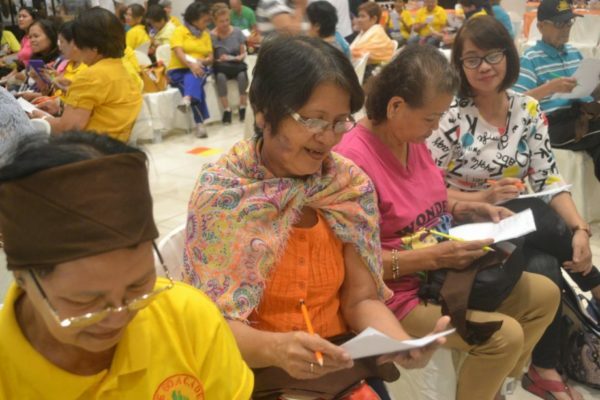 AgeWell is the first-of-its-kind community in the Philippines that enables adults 50 years old and above to stay healthy, happy, and active through activities and solutions that promote physical, mental, emotional, and social wellbeing. Think of it as a support system in your goal to understand aging and everything that comes with it—the physical changes in your body, the emotional rollercoaster you feel at times, the desire to stay productive, the strange combination of worry and excitement for what lies ahead. In essence, AgeWell Club is your buddy in your journey to aging well. And the journey to aging well becomes even more exciting when you enjoy it with other individuals who think and feel like you do, who understand your life stage, who won’t judge you when you dance silly, who are willing to try things you’ve never done before—fellow seniors who don’t let age and aging get in the way of enjoying life to the fullest. So in AgeWell Club, not only will you understand aging, but you will also learn how to enjoy it. You can attend interactive learning sessions on health, nutrition, fitness, and emotional wellness with content that are specifically relevant for adults like you. You can avail of solutions that are customized to your unique health and wellness needs as a senior. You can participate in experiential and recreational activities that allow you to experience new things, learn new skills, meet new friends, and create new memories. You can enjoy deals and promos exclusive to club members. With all these learning and experiences, you can stay healthy, happy, and active as you age. How do I join AgeWell Club? Joining AgeWell Club is easy! Account Name: Unilab Active Health, Inc. Please email the scanned copy or photo of your deposit slip to info@agewell.ph. You may also give the deposit slip to an AgeWell representative in one of the monthly learning sessions. What benefits can I get by being an AgeWell Club member? Join Gloria Diaz, Freddie Webb, Boots Anson Roa, and other speakers in learning with the AgeWell community on how to embrace aging! Limited slots only so pre-register now at bit.ly/AgingWellExpo to join. 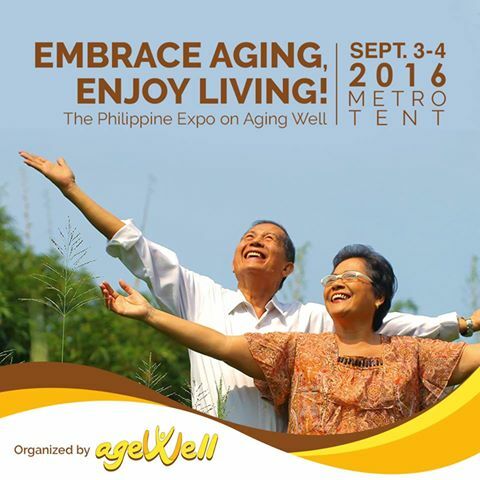 The Philippine Aging Well Expo will be held at the MetroTent in Metrowalk Ortigas, Pasig City this coming September 3 and 4. Don’t miss this opportunity to discover life’s adventures and opportunities after 50!